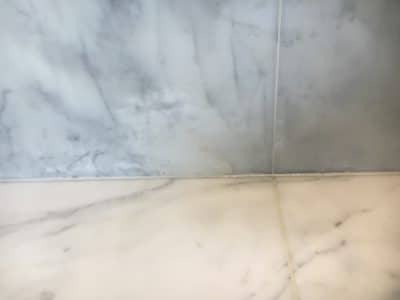 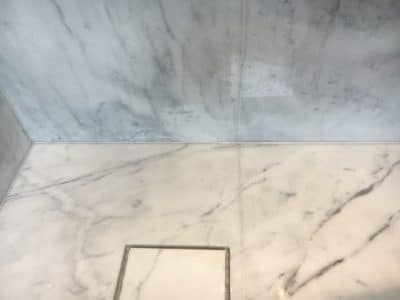 Rust stain treated on marble slab in a shower room saving a costly and complicated stone replacement. 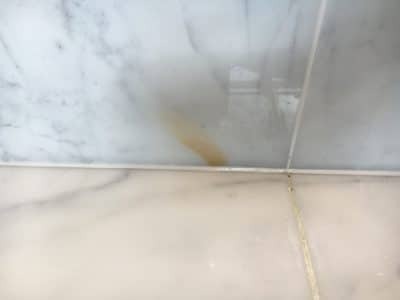 Rust stain is very obvious at the bottom of the wall where the floor meets the wall tiles. Close up of the stain. 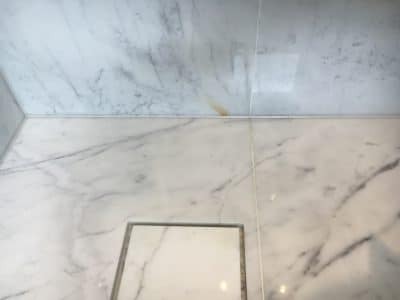 After the treatment and deep clean the stain is white and the stone doesn't need replacing. The stain area looks clean and white and doesn't attract attention any more.